Two different types of scents are used in drag hunting. The first option is to use a human scent. This way of tracking is known as ‘hunting the clean boot’. The second option is to use an artificial scent. A chemical crystal is mixed with water and oil, and then a runner goes ahead of the hunt and lays the scent. The runner lays the scent by dipping a cloth in the crystal/water/oil mixture, and then drags it along the ground. Animal scents are NOT used in drag hunting. The aim of drag hunting is not to chase animals, so no animal scents are used in order to not confuse the bloodhounds when a fox or deer crosses their path. 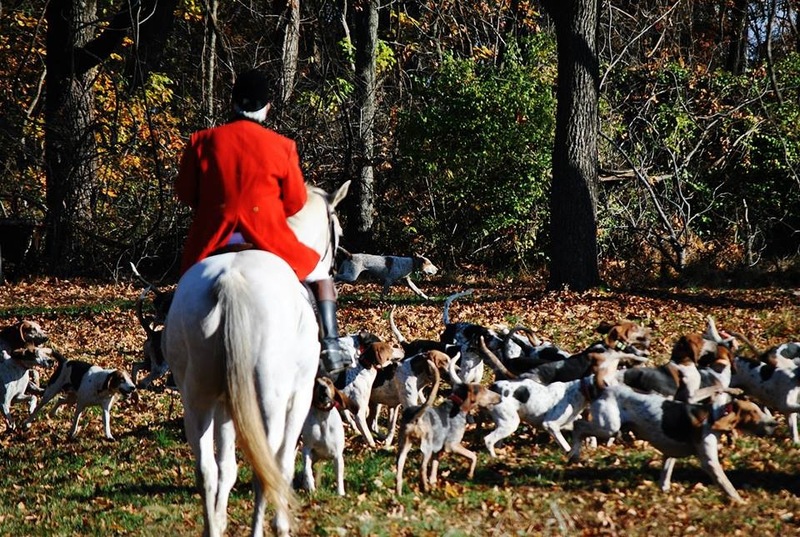 Foxhounds or Bloodhounds – What is the Difference? While both breeds are multi-talented, they each have their own specialities. The American Foxhound is trained in activities such as agility, hunting, man trailing, and tracking. The Bloodhound is a very useful dog, and can be trained in hunting, man trailing, tracking, search and rescue, narcotics detection, and scent detection – a reason why they are used by police. Who Leads the Drag Hunt? The field master leads the riders. In addition to the field master, there is a huntsman, as well as a few whippers-in. The whippers-in are in control of the bloodhounds. It is interesting to note that the hunt staff still wear the tradition attire such as red coats, to keep the authenticity of the history of the hunt. How do Bloodhounds Get Trained to Follow Scent? It is in the bloodhounds’ nature to pick up and follow a scent, so it is fairly easy to train these dogs. It is important to ensure that bloodhounds are not trained using an animal scent, such as fox urine. If bloodhounds are trained on human or artificial scents, they won’t get distracted by animal scents while on the hunt.